A recent opinion piece from Joe Mathews asserts that residents in Ventura County have walled themselves off by not allowing big city density to make housing more affordable. He lays much of the blame on SOAR, which gives residents the right to vote on urban sprawl projects that would develop the farmland and open spaces separating our cities. 1) Coastal California is desirable, particularly Southern California, and this increases the demand for housing. 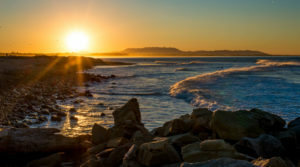 Ventura County‘s moderate temperatures, coupled with our beautiful topography and natural open spaces, were why we were recently awarded the title of “most desirable place to live in the nation” by the Wall Street Journal. We could urbanize the open space and farmland, but do we want more traffic, congestion, air pollution, overcrowding and the associated health impacts? 2) Paving over farmland and open space doesn’t make houses more affordable. Orange County is a prime example. 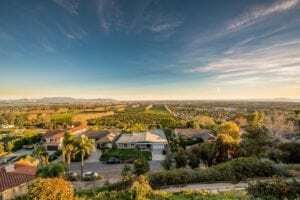 The median housing price in Orange County, where nearly all of their farmland has been lost, is $100,000 more than in Ventura County. In fact, some of the densest cities in the nation (San Francisco, New York) have the highest housing costs. Density does not necessarily equate to affordable housing. 3) Low income kids do better in Ventura County. A study of counties across the nation found low-income children raised in Ventura County achieve higher upward mobility, including higher mobility than in Mr. Mathews’ Los Angeles County. See data here. 4) Downtowns are invested in and reinvigorated because of SOAR. There are 1200 units of housing approved in the city of Ventura alone, although their construction was stalled by the recession. Some of those projects are now starting to get built. They are all infill projects brought about by the fact that SOAR is in place. 5) SOAR encourages cost-efficient land use patterns by limiting sprawl development. It is more costly for municipalities to deliver urban services to distant sprawl developments. Extending services into farmland and open space drains tax dollars, is inefficient, and unsustainable. It is also no coincidence that the counties in Southern California that fared most poorly during the recession were the ones that overdeveloped, building thousands of houses that remain unsold. 6) SOAR allows residents to decide if their communities should expand into the open space that separates the cities in Ventura County. 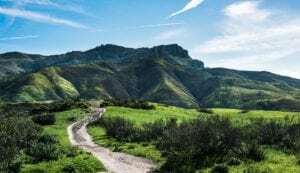 Protecting these areas is consistent with the guiding principal of Ventura County’s General Plan. It keeps our cities from sprawling together and saves some of the world’s best topsoil for farming. 7) SOAR keeps growth manageable and is a major reason why Ventura County is one of the safest counties, with two of the safest cities in the nation. Smaller communities where people know each other have faster emergency response times because there is less traffic, and government agencies that aren’t overwhelmed with big city crime are some of the benefits of not growing beyond our means. 8) SOAR isn’t no-growth. Since 1998, there have been eleven development proposals that required a SOAR vote of the people and voters approved six of them. 9) SOAR exempts affordable housing projects from a vote of the people if it can be shown there is no other place to accommodate affordable housing within city urban boundaries. It makes sense to have affordable housing where residents can access urban services such as schools, buses, stores, and jobs. 10) SOAR compels our elected leaders to discuss and address the issue of affordable housing. In fact, the Ventura County Board of Supervisors recently put aside one million dollars as matching funds for affordable housing projects countywide. Mr. Mathews is right that we do stand out from other counties, but in a good way. We are doing something right in Ventura County and SOAR has played a fundamental role in how we got here, and how we will continue to benefit in the future if SOAR is renewed.